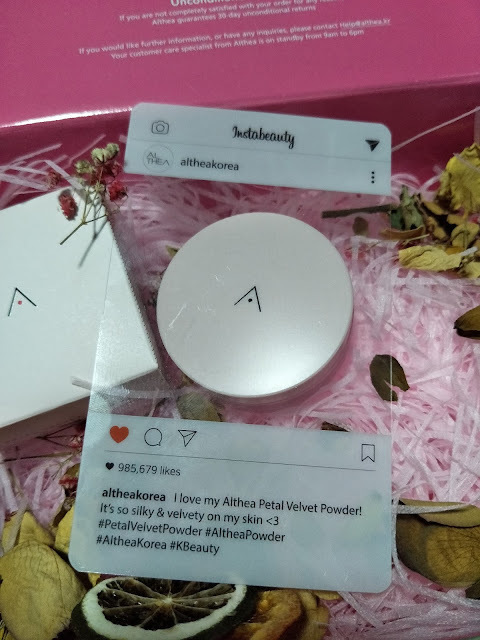 Starting 1st August, Althea has launched their very first brand product, the Althea Petal Velvet Powder, which is a lightweight, translucent loose powder that gives a silky finish and made with pure and natural ingredients, with one of the main ingredients as Althea flower extracts. Infused with oil from Althea seeds, this powder helps to control our sebum production without drying out our skin for a radiant, fresh look. This non-comedogenic powder is also made with micro-fine particles that minimise the appearance of pores and fine lines to reveal a flawless looking complexion. Firstly, I have to say I'm totally sold at the packaging! Love how it's a dusty mauve-pink colour and comes in a very handy small tub, which you can easily pop into your smallest make up bag. The tiny powder puff that comes together with the tub is also soft and fluffy, picks up the fine powder from the sifter really well, and also feels great on the skin. I like how the powder makes you skin feels so soft and smooth, and doesn't cake up even if you pile it on. There's also a very pleasant floral scent to the powder, which makes applying it all the more enjoyable. The best part? This handy-dandy tub of loose powder is only retailing at SGD $6 on Althea's web-store right HERE! So what are you waiting for? Go grab yourself one and be beautiful! Althea's packaging is really a pretty thing to look at. Those are really good products especially. 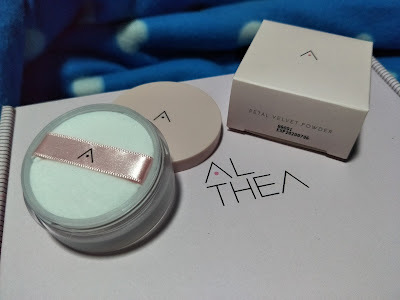 I remember purchasing from Althea Korea around last year or the previous year. They didn't have their own line yet. Now, they do. This means they have progress already with their own brand. Can't wait to order some for myself! i really like to subscribe to Althea. But every-time, i will just forget about it. i should really push for it and find what is in store. My skin as well is very sensitive thus I am afraid to buy powder and other facial products for fear of sudden breakouts. I hope Althea will help me on this. It seems this powder is a great product.The packaging is nice and pretty too.I am also a subscriber for Althea.But I still didn't buy any product.But,as a subscriber,I can see that Althea offers many products and also great offers frequently. It sure is a pretty little thing. 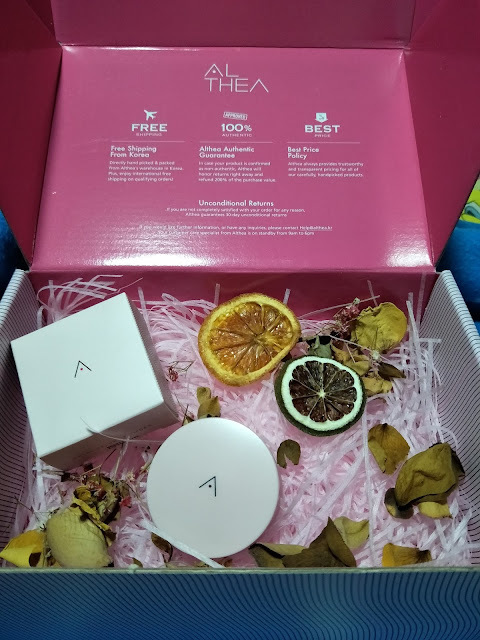 I am not into make up but I have heard a lot of good stuff about Althea. This is something right up my alley and I ought to give this one a try very soon. I am just not sure if this is available locally. 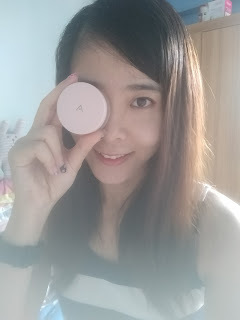 I have tried it and I noticed it's an awesome setting powder or primer as it has a bit of silica in it's ingredients. I haven't tested it in super trying situarions like the commute in manila... but maybe this is an awesome find!